Bratislava, which was one time called Prešporok by Slovaks, Pressburg by Germans and Pozsony by Hungarians, became the coronation city when the Ottoman Turks conquered Hungary and occupied Székesfehérvár, the city that had been the site of previous coronations. At the time Pressburg, as the city was also known in English, was a secure place near the Imperial residential city of Vienna, and so chosen by the Hungarian aristocracy, intellectuals and church dignitaries to be their sanctuary. In 1536, today’s Bratislava was declared the capital of the Kingdom of Hungary. 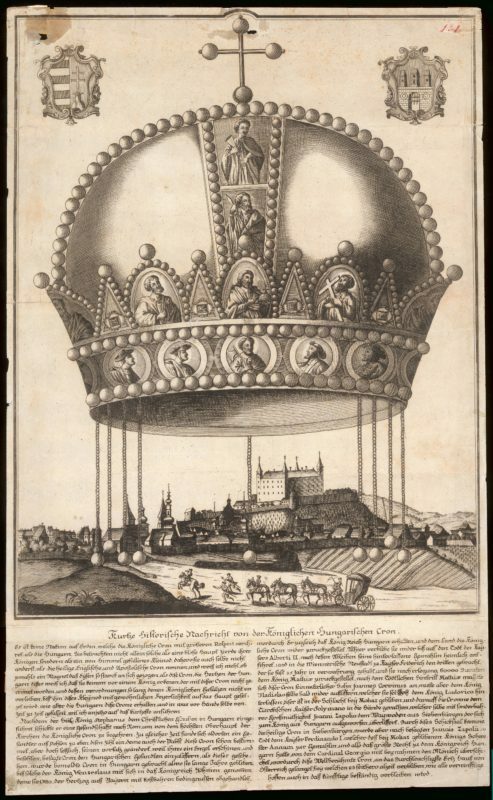 The small town on the Danube boomed over time as it was the administration center of the country, the residence of the King, Archbishop and the Diet of Hungary, and also where the Kings of Hungary were crowned. It was in St. Martin’s Cathedral that ten men were crowned king between 1563 and 1830, along with a reigning queen and seven queens consort. 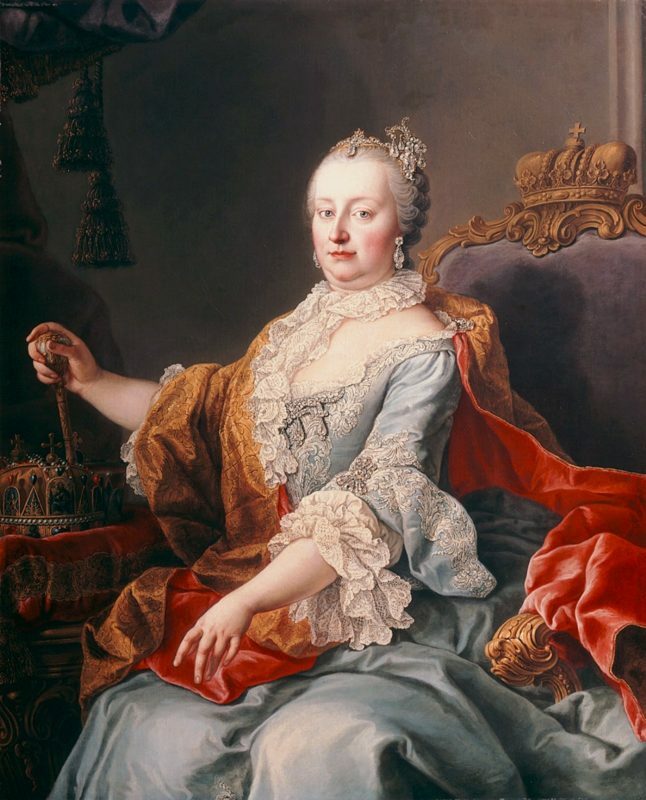 The first reigning king was Maximilian from the Habsburg Dynasty, while the famous era of coronations came to an end for Bratislava with the crowning of Ferdinand V. The only woman to have ever become queen and rule, and was not the wife of a king, was Maria Theresa, who solemnly accepted the title of Queen of Hungary and was crowned in Bratislava on June 25, 1741. Bratislava’s streets today have churches and buildings lining them where historical events have taken place and there are still houses along the coronation route and squares existing that have witnessed coronation ceremonies. Part of the original coronation procession route is today marked with brass crowns embedded in the pavement. 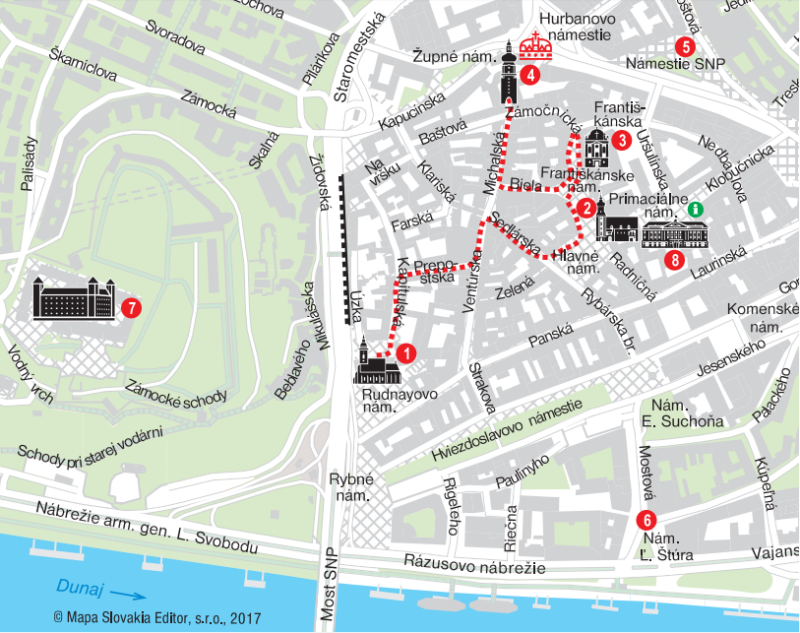 Follow in the footsteps of kings and walk the route of the original coronation procession during guided coronation tours organized by Bratislava’s tourist information office and selected travel agencies. Discover places breathtaking in their history that have witnessed the crowning of monarchs. You can also use your mobile to walk along the coronation route as part of an interactive encryption game. 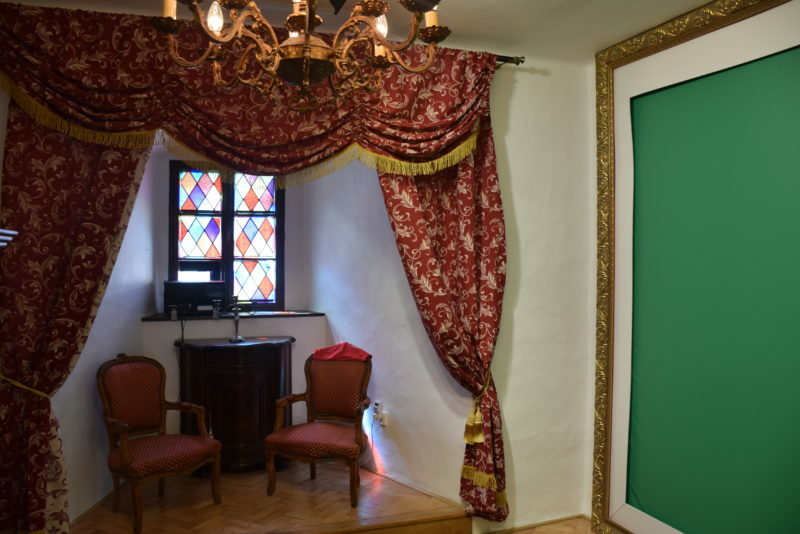 Watch the royal past come to life during the Bratislava Coronation Celebration in June, when visitors get involved directly in the ceremonies as they are reenacted by actors and enthusiasts wearing period costumes. Multiple-day celebrations are accompanied by a number of events, jousting tournaments featuring knights in armor, theater and music performances, lectures and exhibitions, guided tours, children’s interactive programs and fun for all. Take part in period coronations and “Become a Royal” yourself at the Coronation Photo Video Point at the ground floor of Michael’s Gate. Michael’s Gate was an integral part of the coronation route followed by the kings who were crowned in Pressburg as they left the city to where they would take their oath. The Coronation Photo Video Pointe is where you will find rooms with period furnishings and an authentic 3D model of the historical city marking the route coronation processions took. You can make an image and upload a video of yourself in period costume with the coronation insignia and become a part of a historical exposition. You can record both a photograph and video displaying a scene from the coronation and then print or share it with your friends through e-mail.